For homes and businesses in Beckenham and across Kent, Surrey and the south east, Furnished by Anna provide a professional interior design and home consultancy service so you can make your design dreams a reality. For homes and businesses in Beckenham and across Kent, Surrey and the south east, Furnished by Anna provide a professional interior design and home consultancy service so you can make your design dreams a reality. As a family run, independent business, Furnished by Anna takes pride in providing a professional service for clients throughout Beckenham that ensures complete customer satisfaction throughout the entire design process. Click the image below for the latest interior design transformation by Furnished By Anna at Kate & Tom’s Fresh New Home in Beckenham. We’ve had tons of feedback from clients that our flexibility is really great – so whether you need help with a whole new kitchen, brand new living room, or just struggling for some storage, Anna can help to get your home looking fantastic. 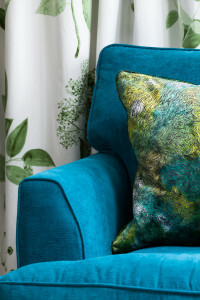 With a huge range of fabrics, wallpapers, furnishings and styles to choose from, and with some expert help from Anna and the team, we provide a professional service that helps you to make the best use of the space available. Whether you are planning on simply refurbishing a single room in the house or you are looking for a professional interior designer for one or more rooms in the house, Furnished by Anna can help, with extensive experience in the local area and an eye for individual design, we will help you to create something truly unique and original. Furnished by Anna was launched in 2008 and since then has built a stunning reputation over the past few years creating beautiful room designs for clients all across the South East. 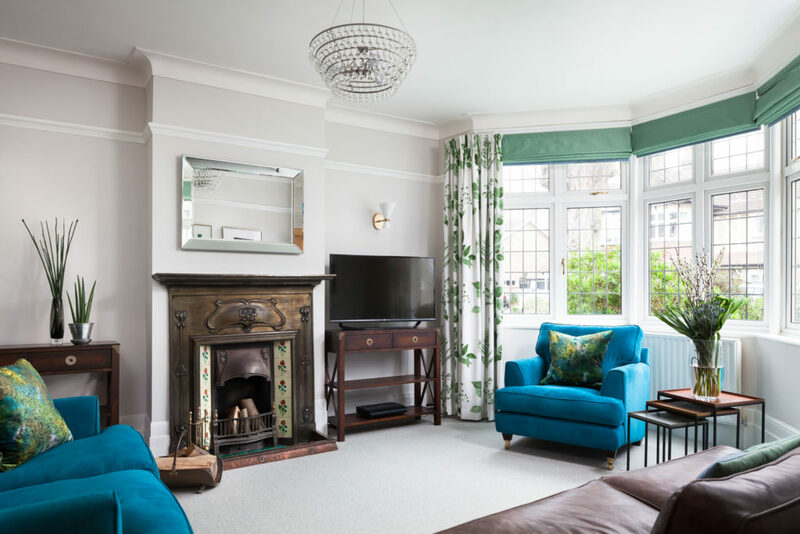 We have worked with clients to refurbish homes of all shapes and styles, from traditional period homes to contemporary homes looking for a bit of pizzazz. Your home is unique to you, which is why with a completely bespoke service and professional advice, we take pride in designing rooms perfectly suited to your lifestyle and in keeping with the budget of your choice. The company has featured in a number of local magazines as a testament to the quality and level of work and involvement with every project we complete, plus Anna herself has even been previously asked to showcase her own home on the ITV1 series ‘May the Best House Win’. With a personalised, friendly service that goes above and beyond expectations we take pride in ensuring complete customer satisfaction with every project we complete. You can even like and follow Anna on Facebook and twitter to receive updates on her latest thoughts, design ideas and innovative projects, for an insight into the creative interior mind of our lead designer. We work with you on a personal level throughout the entire process, helping you through the initial design stage, plus with our Home Consultancy Service we offer essential advice and second opinion on any problems you may have, such as storage solutions or how to incorporate an existing feature into the new designs. We understand the importance of having a perfectly designed spaces in your home that are tailored to suit the needs of you and your family, which is why we are happy to help however we can. Inspiration comes from all around us, but sometimes it takes its time! Give yourself the very best chance of finding exactly what you’re looking for with Furnished by Anna’s home consultancy service. Having spent years building up relationships with all the greatest designers and furnishings suppliers we can locate create a workable look both in terms of style and budget. Plus we also offer a stunning range of made to measure blinds and made to measure curtains that can perfectly compliment your new room design. Utilising the latest in interior design techniques, Furnished by Anna offers a huge selection of wallpaper fabrics, furnishings, styles and swatches from a number of different companies ranging from family run businesses that offer more unique, original furniture to well established companies such as Zoffany, Romo, Harlequin and more. For more information on the wide range of fabric styles we can offer you, as well as getting you in touch with a number of professional tradesmen and fitters, please do not hesitate to get in contact with us. You can see more of our work in Beckenham here, and get in touch with us either on 07968 699441 or by emailing anna@furnishedbyanna.co.uk to book in for one of our free initial consultations.